Shop online for 104 gofer-racing plastic models at discounts up to 23%. This is the 1/24-1/25 Gauges & Dashboard Plastic Model Vehicle Decal by Gofer Racing Models Decals. This is the 1/24-1/25 Scale Wired Distributor with Boot (Yellow) Plastic Model Vehicle Accessory by Gofer Racing Models Decals. This is the 1/24-1/25 Scale Wired Distributor with Boot (Red) Plastic Model Vehicle Accessory by Gofer Racing Models Decals. This is the 1/24-1/25 Scale Wired Distributor with Boot (Black) Plastic Model Vehicle Accessory by Gofer Racing Models Decals. 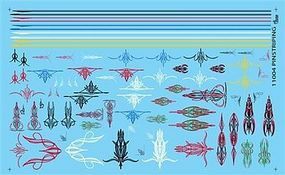 This is the 1/24-1/25 Scale Pinstriping from Gofer Racing Models Decals. This is the 1/24-1/25 Scale Wired Distributor with Boot (Orange) Plastic Model Vehicle Accessory by Gofer Racing Models Decals. 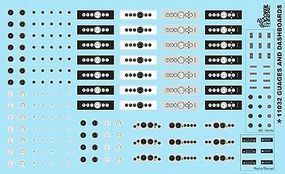 This is the 1/24-1/25 Scale License Plates from Gofer Racing Models Decals. This is the 1/24-1/25 Scale Wired Distributor with Boot (Blue) Plastic Model Vehicle Accessory by Gofer Racing Models Decals. 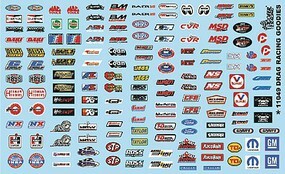 This is the 1/24-1/25 Scale Service Truck Logos from Gofer Racing Models Decals. This is the Woodgrain and Bed Stripes Decal Sheet Plastic Model Vehicle Decal by Gofer Racing Models Decals. 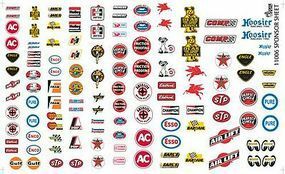 This is the 1/24-1/25 Scale Big Rig Logos from Gofer Racing Models Decals. This is the 1/24-1/25 Goodyear Tire & Fender Logos Plastic Model Vehicle Decal by Gofer Racing Models Decals. This is the 1/24-1/25 Scale New-Type Flames from Gofer Racing Models Decals. This is the 1/24-1/25 Scale Wired Distributor with Boot (Green) Plastic Model Vehicle Accessory by Gofer Racing Models Decals. This is the 1/24-1/25 Scale Manufacturer Sponsor Logos #2 from Gofer Racing Models Decals. This is the 1/24-1/25 Scale Hometown Sponsor Logos from Gofer Racing Models Decals.